A number of trees have been blown down across Louth as storm Ali subjects the county to severe winds. Motorists on the Louth and New Traffic Watch Louth And Monaghan And Cavan and Speed Vans group alerted other road users about fallen trees on the following roads. Three ambulances rushed to Castleblaney Road after a large tree has fallen across the road. A witness said: "10:30 massive tree down across hole road on the Castelblaney Road where all builders park cars. Now! Three ambulances don't know if any casualties." 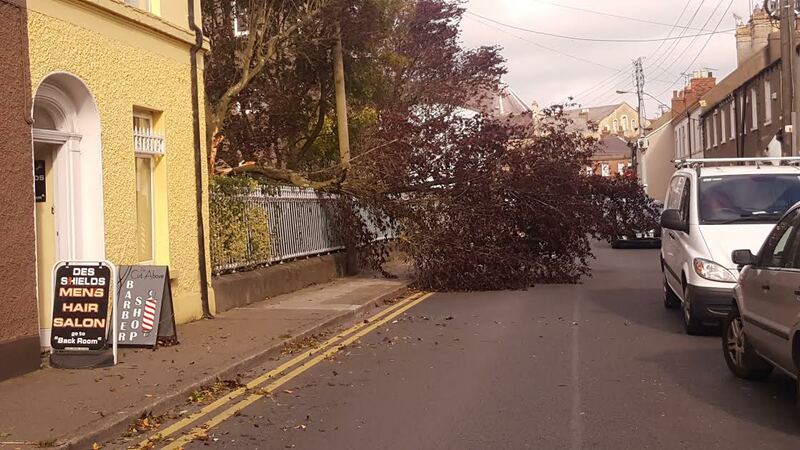 UPDATE @ 10:40: Chapel Street, Dundalk is blocked by fallen tree at 10.25am. The Dundalk to Carrick Road is now blocked. See picture below. Tree blocking Dundalk the Carrickmaccross Road near Essexford. Knockbridge to Dundalk road shut and Knockbridge football field road shut. Trees down on both. Ardee Knockbridge Road blocked with trees and wires down not passable 10:40am. Ardee to Tallanstown road impassable. There is a tree blocking the road. Omeath to Newry Road completely blocked. Tree down outside the Barracks in Omeath. 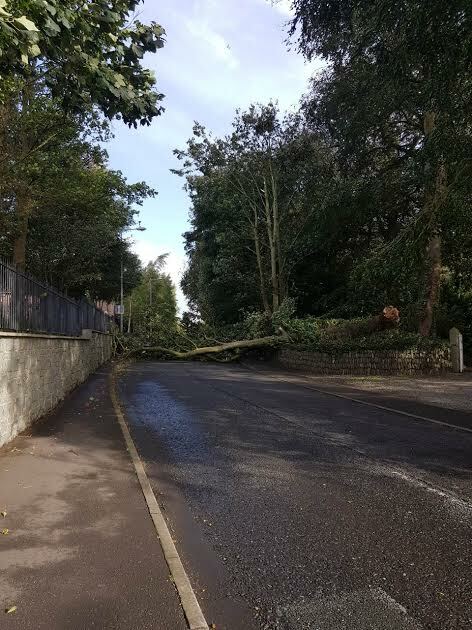 Wallaces Road in Blackrock is currently blocked with a fallen tree. Tree just after falling outside Drumconrath going to Ardee Kells road and another one on Drumconrath to Woodtown road at 09:30. Tree down at Sliabh Breagh, Ardee, blocking one side of the road. 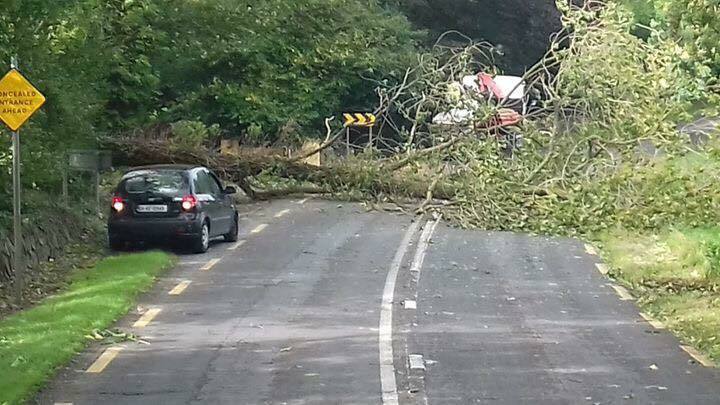 Duffy’s Cross, Tallanstown Road is "completely blocked" after a tree fell on the road. Another tree is down on the Blaney Road at Law Bog. 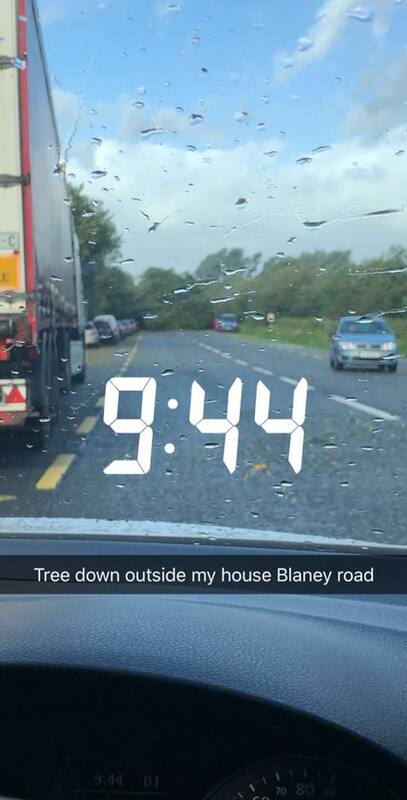 Another motorist noted: "Tree just after falling outside Drumconrath going to Ardee, Kells Road and another one on Drumconrath to Woodtown road 09:30." There is also a tree down a mile outside Ballybay on the Carrick Road. And the Inniskeen to Channonrock Road is blocked just past the pitch and putt. Another motorist on the Facebook group noted: "Crosswinds very bad on the N2 from Carrick towards Ardee." 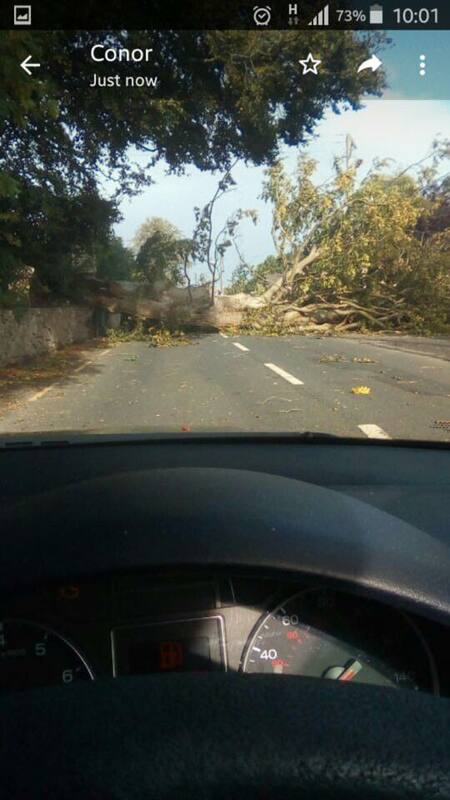 The Omeath Community Facebook page said: "WARNING: Omeath to Carlingford Road closed, tree has just came down outside Garda Station in Omeath, road completely blocked." More road closures could occur today as Storm Ali will track close to the west and northwest coast this morning. A status orange wind warning is in place for a number of counties including Louth until 1pm today. And the entire country has been issued with a status yellow wind warning until 5pm tonight. Met Eireann says: "South to southwest winds veering westerly will reach mean speeds between 65 and 80 km/h and gusts between 110km/h and 130 km/h for a time. Gusts in excess of 130 km/h are possible in coastal regions of the west and northwest. The core of strong winds will be along Atlantic coasts at first, before transferring quickly eastwards during the morning."